Life does indeed move in mysterious fashions? Are there no such things as coincidences; is the world really operating as chaos theory; are there parallel universes that we can side-step into if we only knew how to do it? One day I’m remarking to a friend over coffee how I can’t relate to the late, alto saxophonist Art Pepper’s music from the closing years of his career. To my ears, Art’s music moved from being smooth, passionate and melodic to one that was abrasive and harsh – it became a cacophony of sounds; no longer music. 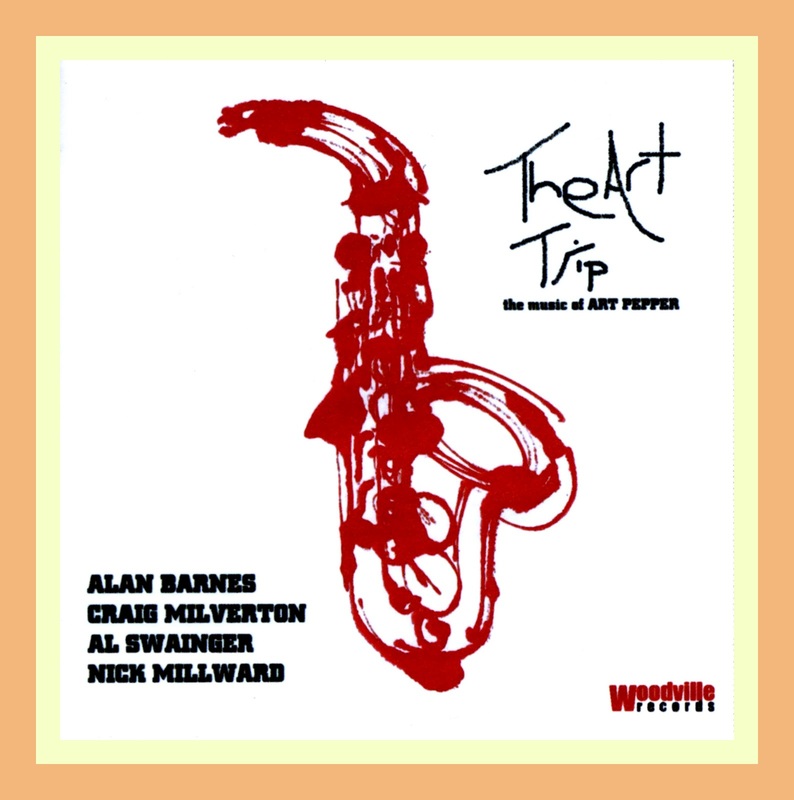 Soon thereafter, I’m having coffee with another friend who is into Jazz and he gives me alto saxophonist Alan Barnes’ latest CD, The Art Trip: The Music of Art Pepper [Woodville Records WVCD 137]. The first friend urged me to stick with repeated listening of Pepper’s later recordings in order to “get them,” neither of which I’m able to do. But thanks to the other friend’s generosity, I am now able to take solace in the fact that I am not alone in confronting the quandary posed by Art’s music, then-and-now, so to speak. Alan Barnes discusses this dilemma in his insert notes to The Art Trip: The Music of Art Pepper. © -Alan Barnes/Woodville Records, copyright protected; all rights reserved. The alto sax playing sprang out of those LPs. It was so clear, virtuosic and accurate - a beautiful, fresh, full-of-life sound that danced over the time in a light and subtle, yet intensely probing way. There was a lonely, yearning quality to his playing on the ballads that really reached out to the listener. Perhaps the most beautiful moments came when Jack Montrose joined the ensemble on tenor and the two front men wove lines around each other. It was just so musical and respectful, each playing so much like themselves but with great politeness and courtesy to the other. I'd heard many of the world's greatest saxophonists on records, and still loved them, but from that moment one this was clear for me, that was how the alto saxophone should be played. 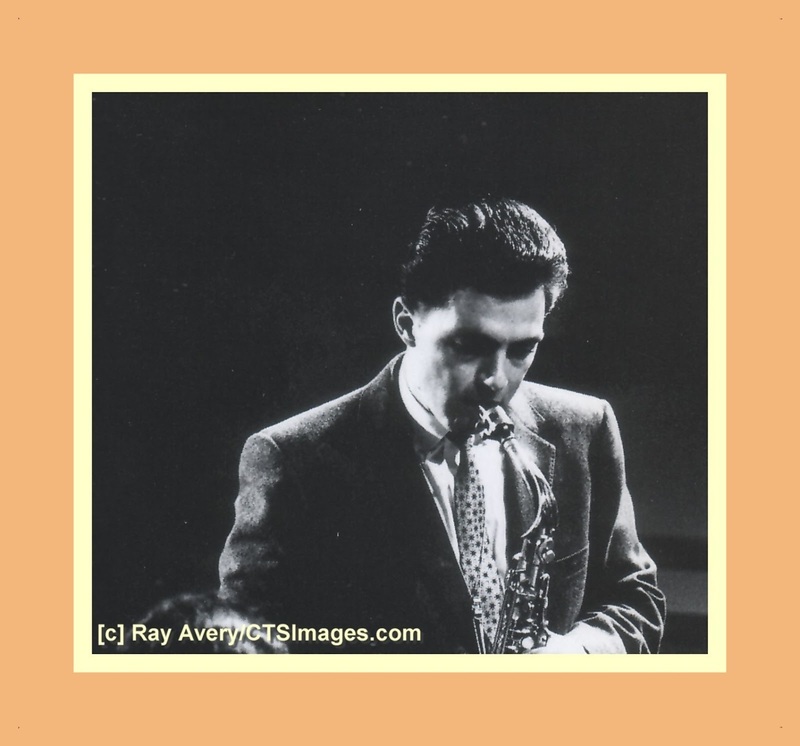 A handful of years later I saw Art Pepper at Ronnie Scott's club, playing with his quartet with Milcho Leviev on piano. The first shock was the different sound of the saxophone. It was darker and thicker in tone with a new emotional depth to it. His lines were sometimes shorter, broken and angular - he would find a set of notes and realy worry them, then break free into long darting phrases that ran effortlessly through the changes. The beautiful clarity, tuning and stunning double timing were still there, but when the music reached a certain, almost frightening, emotional intensity and there seemed nowhere else to go, he would move right out there - playing free, spitting out distorted notes with furious passion. The ballads were raw and tender. I've never seen anyone more involved or determined and it showed what's possible in a jazz performance. He looked like a man fighting for survival. It was riveting, overwhelming, honest, disturbing and quite profound. These two different periods of the same musician's life were separated by years of drug and alcohol addiction and lengthy stays in prisons and a drug rehabilitation centre. However harrowing these experiences, however long he was off the scene, Art always played superbly well in a series of come-backs throughout his life. His final re-emergence, beginning in 1977, really gathered momentum, producing some of the finest playing of his career and gaining him the worldwide recognition that he had always sought. He continued to perform until he was stricken with a cerebral hemorrhage and died in June of 1982. Art's career stretched from the late '40s with the bands of Stan Kenton and Benny Carter, through recognition as a 'West Coast Star’ in the '50s and on to triumphs of his later years. Unlike many West Coast jazz musicians, he wasn't a studio player by day - he always remained resolutely a jazz performer. His life is detailed in his devastatingly honest biography, Straight Life, published in 1977. This CD is the idea of bassist Al Swainger. As well as playing great bass on this session, he put together the band, booked the studios, picked the tunes and transcribed all the music. In deciding winch material to focus on, Al chose a selection of Art's compositions from both the early and later periods and balanced them with several standards that really showcase the individuality of the man. Making free use of transcriptions, recordings and the individual personalities of the assembled players we hope to have achieved a balance between the old and the new to create something unique for a fresh generation of listeners. It's not an attempt to sound like Art (who could? ), just the four of us enjoying the playing his great music and enjoying being influenced by his great musicianship. Craig Milverton on piano has always been a very fine accompanist and trio pianist. He really shines on this recording and plays some of his finest work to date. Nick Millward on drums really worked at getting an individual feel on each track, finding his own way. I think his playing and approach really makes this album. 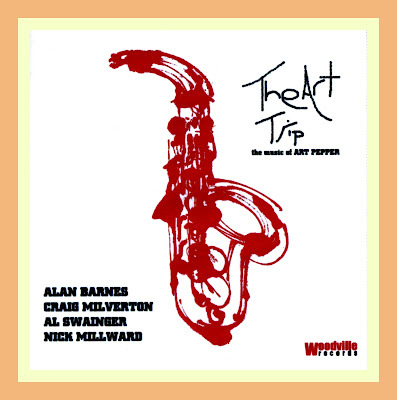 Art's compositions should be part of any jazz study syllabus, the up-tempo numbers are very witty, articulate and hip, often based on the chord sequences of standards. His ballads are always beautiful vehicles for expression while his Latin and groove tunes are timeless and very much bring to mind his home city of Los Angeles. He really excelled at playing on simple harmonic vamps, sometimes extending the ends of tunes to incorporate one of these and really get into some blowing after the tune was over. Mambo Koyama and the 5/4 Las Cuevos De Mark), for instance, were refreshingly different for us to play on after lots of involved, harmonic pieces. Personally, it's been a real pleasure to continue studying and playing the music of Art Pepper. Marty Paich, Art's friend and collaborator on many albums, seemed to sum up the essence of the man: 'You know, there's honest musicians and there's dishonest musicians. Let me clarify that. An honest musician plays with his heart and soul and gives his all, all the time. And then there's the dishonest musician who plays, and gives you his all, but not all the time. It's like a racehorse. When Art plays, it's all, all the time. I never heard him lay back at any time, and that, to me, is an honest musician. And there aren't too many of them in the entire world"
Here’s an audio-only track from the CD with Alan and the group performing one of Art’s tunes from earlier in his career entitled Chili Pepper which is based on the chord changes to Tea for Two. Sometimes we like to re-visit the music of artists about whom we have developed video tributes to in association with the crackerjack graphics team at CerraJazz LTD. 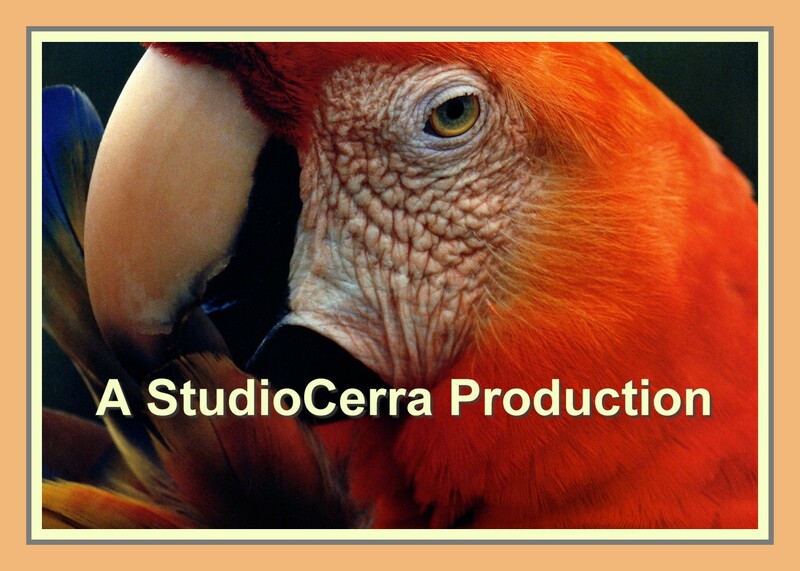 Recently, we have developed a new affiliation with StudioCerra Productions that we hope will enable us to add additional visual and audio dimensions to these efforts. In order to welcome StudioCerra Production to these pages, we thought it might be enjoyable to reprise the four video tributes that we have developed which feature the music of Toots Thielemans. Jazz is supposed to be about fun and no one brings more joy to the music than Toots. [Click on the “X” to close out of the ads when they appear on the Soldier in the Rain video]. 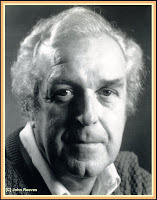 The Origins of Gene Lees’ The JazzLetter – The First Jazz Blog? The editorial staff at JazzProfiles subscribed to The JazzLetter for many years. Its author, Gene Lees, who died in April, 2010 at the age of eighty-two, published The JazzLetter in monthly editions of 6-8 manuscript-sized, printed pages and mailed them to his subscribers. Gene would often get behind in his efforts to put it out on a monthly basis and a clump of them would sometimes arrive in one envelope. Although, Tim Berners-Lee devised the first web browser and server at CERN and launched the World Wide Web in August, 1991, about ten years after Gene began publishing The JazzLetter in 1981, the publication never made an appearance on the world-wide-web. Irrespective of the fact that The JazzLetter never went digital, I have always thought of it as the first Jazz blog. Perhaps after you read this account from Gene’s introduction to his Cats of Any Color compilation on the origins of The JazzLetter you, too, might agree that the publication deserves to be considered in this fashion. Also, when you read Gene’s account of how it all began, you may get a sense of nostalgia at the thought that such a time will never come again. © - Gene Lees/Da Capo Press, copyright protected; all rights reserved. “Often it will be found that someone speaks a third language with the ac­cent of the second. My Spanish, for example, has a French accent. Gene Kelly spoke French with a slight Italian accent. He grew up in an Italian neighborhood in Philadelphia. Over the years, I have also observed that anyone who has had two profes­sions practices the second with the disciplines and outlook of the first. You can see this in movie-makers. Directors who were first actors elicit fine work from their performers—for example, Richard Attenborough. Consider the miraculous performance he got from Robert Downey, Jr. as the English Charles Chaplin. Or the performances Robert Redford gets from actors, as in Ordinary People and A River Runs Through It. Or Sydney Pollack and Mark Rydell, both of whom had been actors, in any number of pictures. Alfred Hitchcock, who early manifested a skill in things mechanical, went to work for a telegraph company, then broke into the film industry as a tide-card illustrator. His pictures were always visual, mechanical, and short on great acting, no matter the idolatry toward his pictures fashionable in film circles. He was quoted as saying that actors should be treated like cattle, and his movies look like filmed storyboards. David Lean began as a film editor, and though his films—The Bridge on the River Kwai - for example— reflect prodigious gifts for working with actors, they also reveal his first training in that they are magnificently, meticulously photographed and edited. I was trained as an artist, but my first profession was journalism. I had been a newspaper reporter, editor, and foreign correspondent for ten years before I became the editor of Down Beat in April, 1959, and a thirst for factuality would stay with me. I looked the magazine over and sent a memo to staff members and contributors saying that its first duty was to be a good magazine, literate and readable. If it did not fulfill that obligation, it could not serve its subject matter well. I also urged a concern for factuality, in contrast to the opinion-mongering that comprised much, even most, of jazz criticism, and still does. To say something is exciting or boring or touching or disturbing is only to confess what excites, bores, touches, or disturbs you. It is not a fact about the work of art in question, it is a fact about the critic, a projection of his or her own character and experience. I did what everyone did at Down Beat: I wrote record reviews. Project­ing your opinions in print is the fastest way in the world to alienate the vic­tims of your inescapable subjectivity. In any case, unless you are like Addison DeWitt in All About Eve and enjoy causing pain, writing criticism ain't your thing. So I fired myself as a record reviewer soon after joining the magazine. I have written very, very little jazz criticism, which is why I was in early years discomfited to see myself referred to as a jazz critic, later em­barrassed, and finally resigned to it. My education in jazz came not from magazines and books but from studies of composition, piano (with Tony Aless, among others), and gui­tar—and from long, rich conversations in such places as Jim and Andy's bar in New York with Phil Woods, Gerry Mulligan, Ben Webster, Cole-man Hawkins, Hank d'Amico, Will Bradley, Jimmy McPartland, Lockjaw Davis, Dizzy Gillespie, Clark Terry, J.J. Johnson, and many more. I found that jazz history, as it was generally accepted, was to a large extent a fiction that has been agreed upon, as Voltaire said of all history. It dawned on me that, since such founding figures as Louis Armstrong and Earl Hines were still with us, I had met nearly all the great jazz musicians who had ever lived, and knew some of them, such as Bill Evans and Woody Herman, intimately. At the same time, because of my activities as a lyricist, I met and in some cases came to know many of the major song­writers who had inspired and influenced me, including Howard Dietz, Arthur Schwartz, Harold Arlen, Johnny Green, Hoagie Carmichael, Mitchell Parrish, Harry Warren, and particularly Johnny Mercer, some­one else who became a close friend. After leaving Down Beat toward the end of 1961, I settled in New York and devoted myself primarily to songwriting. I spent the early 1970s in Toronto, then settled in 1974 in Southern California, where I have re­mained ever since, the climate being one of its blandishments. 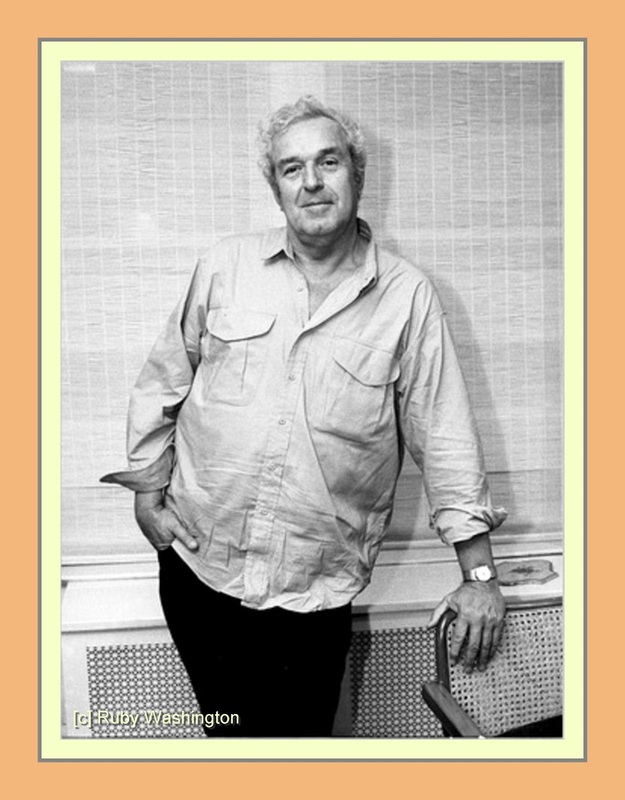 By the end of the 1970s, my songs had been recorded by Mabel Mercer, Frank Sina­tra, Tony Bennett, Sarah Vaughan (my dear, dear friend! ), Ella Fitzgerald,Nancy Wilson, Joe Williams, Carmen McRae, Peggy Lee (another dear friend), and so many others that my royalties, at least in theory, made it possible for me to retire, and I tried. I soon found that I missed my friends, among them all the jazz musicians I had come to know since 1959. On a morning in May, 1981, I sent a questionnaire to several hundred persons, asking whether I should start a letter—not a newsletter, giving record reviews, nightclub listings, and current news, but a letter on matters of interest to all of us. I specified that it would contain no advertising. Within a week, I had a mailbox full of letters urging me to do it, some of them containing checks. I realized that I was committed. Broadcaster Fred Hall and composer-pianist-arranger Roger Kellaway gave the Jazzletter its name. I still remember the list of early subscribers. It included Phil Woods, Gerry Mulligan, Dizzy Gillespie, Clark Terry, Shelly Manne, Benny Carter, Jimmy Rowles, John Lewis, Art Farmer, Kenny Wheeler, Kenny Drew, Sahib Shihab, Rob McConnell, Henry Mancini, Johnny Mandel, Julius La Rosa, Jackie and Roy Kral, Robert Farnon, and Audrey Morris, such record-company executives as Charles Lourie, Bruce Lundvall, and Ken Clancy, and a number of critics and jazz historians, including Whitney Balliett, Doug Ramsey, Grover Sales, James Lincoln Collier, Philip Elwood, and the late Leonard Feather, as well as academics. The Jazzletter addressed a list of subscribers almost all of whom I knew personally. It was written for musicians, dealing with matters that concern musicians—jazz musicians to a large extent but not exclusively. I did not de­sign it to exclude laymen, and indeed whenever technical discussions proved necessary, tried to make them as clear and brief as possible. But in general, the publication assumed a measure of knowledge in its readers. I asked gui­tarist and composer Mundell Lowe what he thought the limits of Jazzletter subject matter should be. He said, "Anything that is of interest to us"
And what was of acute interest to jazz musicians was the history of the music and its makers, whether one of the older players and the era he or she had lived through, or younger ones, anxious to know about the times they did not know. And given that I faced no limits in length, I was able to write extended pieces that simply would not be practical in most mag­azines for structural reasons. I soon found that I was recording the life stories, derived from extended interviews, of musicians who might de­serve book-length biographies but were unlikely to get them, the nature of publishing being what it is. I found myself writing what I came to think of as mini-biographies. Thanks to the collective efforts of many Jazz bloggers, the spirit of The Jazzletter lives on today in a variety of digital formats. But for those of us who looked forward to that thud hitting the front door mat announcing that Gene had sent out another batch of his inimitable Jazzletter essays, musings and commentaries, there will never be anything quite like it again. Jesse van Ruller, Frans van der Hoeven and Martijn Vink," Blame It On My Youth"
Does anyone play Jazz at this tempo anymore? Dutch guitarist Jesse van Ruller will be our featured guest on JazzProfiles on 9/18/2012. Until then, we hope you will enjoy this video of Jesse along with bassist Frans van der Hoeven and drummer Martijn Vink that was recorded at the North Sea Jazz Festival in 2002. Can you imagine - sixty years on the road? I was reflecting on this incredible achievement with a pianist friend recently and his initial reaction was – “Just think about all those cruddy pianos he had to play on before he became famous.” Derelict pianos were a fact-of-life in most Jazz joints for many years. One of Dave’s earliest albums for Columbia Records was Jazz Impressions of the U.S.A. [CL 984]. It was recorded in 1956 and 1957 when Dave’s quartet had been traveling regularly for about 5 years. One can only wonder at what such a diary of musical impressions might sound like if another 55-years of traveling was added to it! “A music notebook is as important to the traveling musician, as a sketch pad is to the artist. When lulled by the sounds of travel, the drone of the plane, the rumble of the bus, the clack of the rails, or even the hiss of the radiator in a strange hotel room, themes suddenly spring into consciousness. If a sketchbook is handy, the elusive idea is captured to be developed, arranged or changed. "Jazz Impressions" is a group of compositions created in just such a manner, from notebook scribblings made while on tour. It was recorded on three different dates, in three different cities (New York, Hollywood, and Oakland) as our itinerary permitted. As many popular songs have been transformed by jazz into almost different tunes — different in emotional content, rhythmic conception, and melodic development — so these sketches by the Quartet vary according to the mood of the group and the individual interpretations of the soloist. The themes themselves, which are but the skeletal framework for improvisation, occasionally use musical devices which are typical of certain regions in the United States. 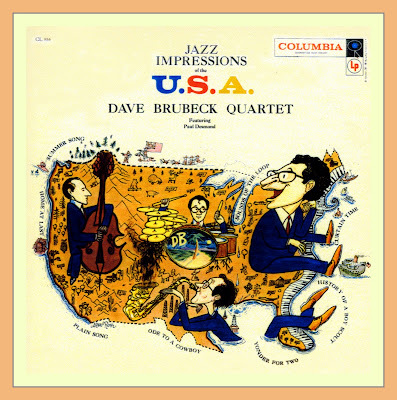 The opening track on the Jazz Impressions of the U.S.A. LP is entitled Ode to a Cowboy. 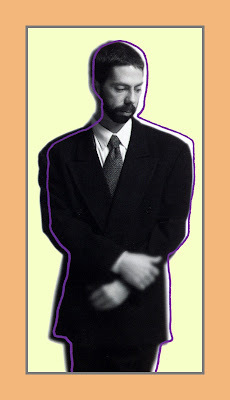 The following anecdote about Dave’s formative years prior to becoming a professional musician may have had something to do with the manner in which this Jazz impression was formed. “Dave was a working cowboy by the rime he was thirteen. "My dad," he said, "was a cattleman and a top rodeo roper, maybe the top in California some years. He was the Salinas Rodeo and Livermore champion in roping. He wanted a son that would follow him. I was the youngest of the sons, so I was his last chance. "My dad covered the western states, buying cattle for a big company called the Moffet Meat Company," Dave said. "And like myself, he was always on the road. He wanted to settle down. So the company gave him a 45,000-acre ranch to manage, if you can imagine how large that is. In some places it was twenty-five miles across. He moved there and took me and my mother when I was twelve. 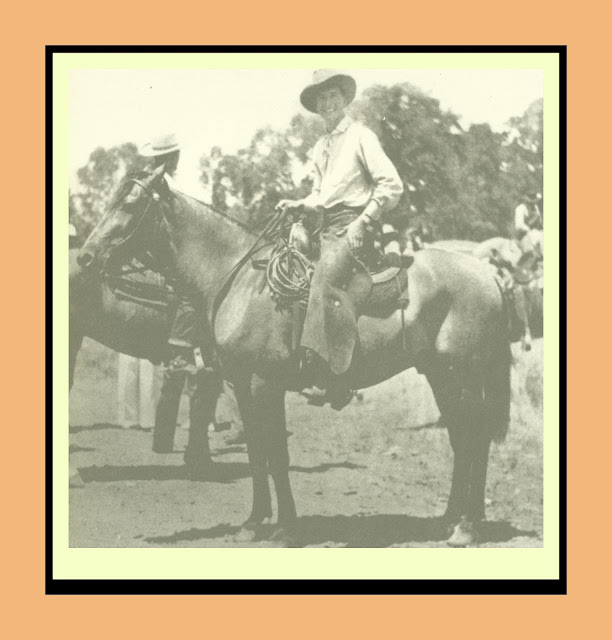 The ranch was in Ione about 115 miles east of San Francisco in the foothills of the Sierra Nevada’s.” [Gene Lees, The Man on the Buffalo Nickel, in Cats of Any Color: Jazz Black and White, p. 43]. The tune has always been one of my favorites and I’ve used Ode to a Cowboy as the audio track to the following video tribute to Dave which was made with the help of the crackerjack video team at CerraJazz LTD and the production facilities of StudioCerra. The montage contains many rare album covers from Dave’s years with Fantasy Records as well as many other images that I think you’ll find of interest. Maybe someone will one day write a tune entitled Ode to a Jazz Musician and dedicate it to Dave? Isn’t it great to be a Jazz fan? It’s like being a member of an exclusive club – with apologies to Groucho Marx – one that you want to be a member of [and to my high school English teacher for ending a sentence with a preposition]. Here are three reasons why those of us to whom the music speaks are so fortunate. The trio "specializes in high lyricism and high danger." The title of this piece refers to the double CD that Palmetto Records [PM 2159] will release on September 11, 2012 which pianist Fred Hersch and his trio – John Hebert on bass and Eric Harland on drums – recorded at this legendary NYC club from February 7th-12th, 2012. The editorial staff at JazzProfiles have been devoted fans of Fred’s work, both in trio and solo piano forms, for many years. In a detailed press release, Ann Braithwaite, of Braitwaite & Katz, the firm handling the public and media relations for the new recording, had this to say about Fred, his career and the new Alive at The Vanguard CD. "A new piano trio recording by five-time Grammy nominee Fred Hersch offers the rare opportunity to recalibrate expectations about the most fundamental of all jazz settings. Captured in the heat of creative ferment at the Village Vanguard, the sanctified venue that has long served as the pianist's second home, Hersch's trio with bassist John Hebert and drummer Eric McPherson displays all the rhythmic daring, preternatural interplay, harmonic sophistication and passionate lyricism that makes it one of the era's definitive ensembles. Slated for release by Palmetto on September 11, the double album features a diverse array of seven scintillating new Hersch originals, four American Songbook gems, and seven classic jazz tunes. 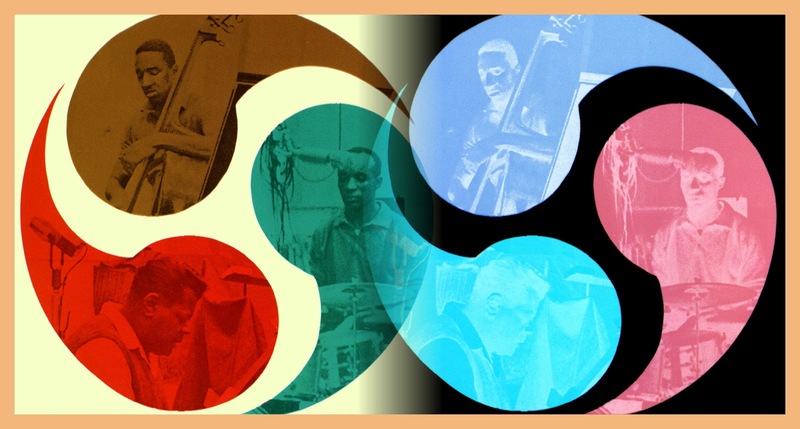 Reviewing the trio the week of the recording, The New York Times' Nate Chinen referred to the group's "stronger sense of itself." "This may be my best trio playing on record, in terms of range, sound, being in the moment, and the way we play together," says Hersch, 56. "Not that I disown any of my former albums, but considering where I was three to four years ago, this is very strong, focused playing. And sonically I think it really captures the Vanguard. It sounds different than a studio album, and it should sound different, so you feel like you're there." Hersch introduced his latest trio on his acclaimed 2010 Palmetto debut Whirl, a session that arrived with the freighted backstory of his miraculous recovery from a two-month coma so deep that his doctors feared he'd never regain consciousness (he turned the near-death experience into the wildly imaginative chamber jazz production "My Coma Dreams," a collaboration with librettist Herschel Garfein). Hersch had spent much of the last decade performing with bassist Drew Gress and drummer Nasheet Waits, a stellar trio that gently transitioned into his current combo. Hebert and McPherson had served in pianist Andrew Hill's last rhythm section and they already had a built-in history. I've always loved John's playing." Hersch says. "Like Drew, I was attracted to him by his sound. He's from Baton Rouge, and his playing has a looseness that's great for me. He's also done his homework in the tradition. He can really play a ballad and he knows where the substitute chords are." The album's revelation may be McPherson, though he's hardly a new face on the scene. 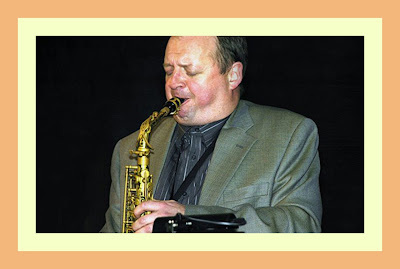 A standout since he joined Jackie McLean's band as a teenager in the early 1990s, he spent 15 years with the alto legend. That, along with his work accompanying heavyweights like Hill, Pharaoh Sanders and Greg Osby, established McPherson as a forceful and resourceful post-bop player versed in the polyrhythmic vocabularies of Elvin Jones and Jack DeJohnette. 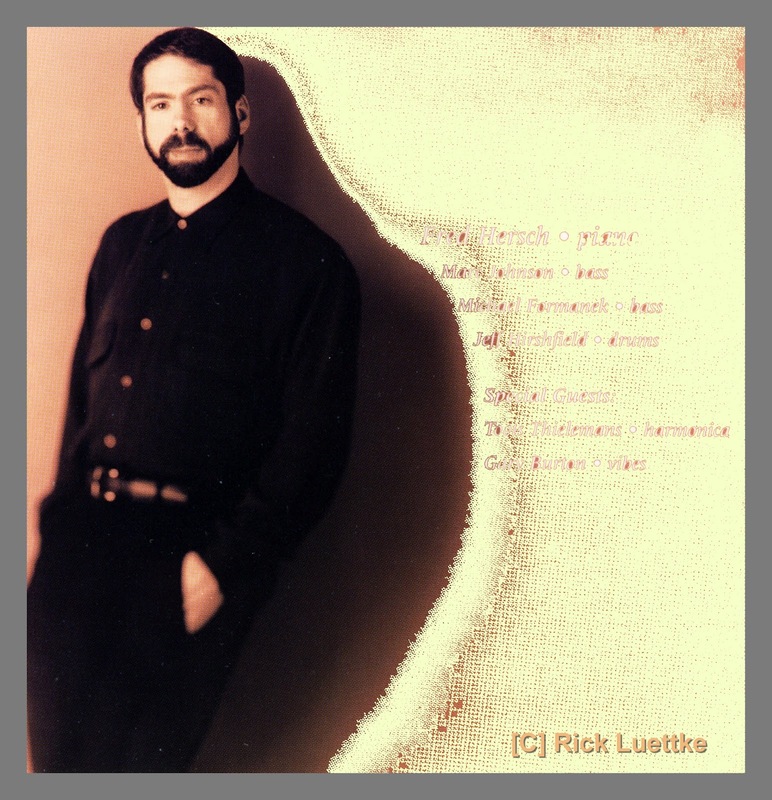 But in Hersch's trio he comfortably embraces a less-is-more trap set aesthetic, with masterly dynamic control, quiet intensity and consistently thoughtful textural shadings. When it's time to flex his muscles, like the rollicking Charlie Parker blues "Segment" or his cascading solo on "Opener," which Hersch composed as a feature for McPherson, he plays with the requisite punch. "Eric is incredible at what we call the transition game, going from brushes to sticks and other implements," Hersch says. "I'm not sure how many people realize that. He's kind of a sleeper. He knows the tradition in and out. He came up as a sideman with some great musicians and he is quite a magician himself." Much of the time Alive at the Vanguard feels like a series of revelations. Hersch's touch has never sounded more vital or responsive, and the trio seems to breathe together, whether whispering the introduction to Jule Styne's "I Fall In Love Too Easily" or hurtling through the playful steeplechase of Hersch's "Jackalope." The album opens with Hersch's mysterious "Havana," a tune that floats on a McPherson groove that lightly references clave without being predictable. Part of what makes Alive so rewarding is the way Hersch's music is an ongoing conversation with a pantheon of jazz masters. In a loving tribute to the late drummer Paul Motian, a musician inextricably linked to the Vanguard for five decades, Hersch's melancholy ballad "Tristesse" employs a distinctively Motianian harmonic strategy. "He writes deceptively simple tunes, with two voices outlining the harmony, but not in rhythm. It's something that Paul really knew how to do, that he sort of invented. I've played some of his music over the years," Hersch says, noting that he covered Motian's "Blue Midnight" on Whirl. Hersch tips his hat to Wayne Shorter with the enigmatic "Rising, Falling," a harmonically intricate piece that seems to hover in mid air. He celebrates the imposing influence of Sonny Rollins with a fiercely swinging version "Softly As In A Morning Sunrise," a piece the tenor titan immortalized on his classic 1957 album Live at the Village Vanguard, and closes the first disc with an unusually slow rendition of the Rollins standard "Doxy," reveling in the tune's crags and crevices. He summons the spirit of another saxophone immortal with "Sartorial," a snazzy piece inspired by Ornette Coleman's singular fashion sensibility. "Lady Gaga has nothing on Ornette clotheswise," Hersch says. "I went over to his apartment and played with him, and he's always decked out. This piece reminded me of him." Ornette's most haunting ballad opens the first of the album's three medleys that brilliantly link unlikely tunes, a Hersch trademark. He introduced his re-harmonized version of "Lonely Woman" paired with Miles Davis' ethereal "Nardis" on his fascinating 1998 tribute to Bill Evans Evanessence. The atmosphere gets thick with intrigue when he combines two minor key classics, Russ Freeman's "The Wind" and Alec Wilder's "Moon and Sand" (a piece he interpreted on his 1984 debut on Concord Records, Horizons). And Hersch closes the album with an exquisite, extended investigation of "The Song Is You," which segues into the middle of Monk's echoing "Played Twice," which is essentially played once. It's a sly and unexpected sign-off after an evening of thrilling surprises. In many ways Hersch's ascendance to jazz's top ranks is a wonder, given his relatively late discovery of the music. Born and raised in Cincinnati, he studied music theory and composition while growing up and sang in high school theater productions. It wasn't until he was attending Grinnell College in Iowa that he turned on to jazz when he started listening to John Coltrane, Pharoah Sanders, Miles Davis and Chick Corea. But the jazz bug really bit him when he went home for the holidays and happened into a Cincinnati jazz spot. He ended up dropping out of school and earned his stripes on the bandstand, with veteran musicians serving as his professors. After honing his chops for 18 months, he enrolled at New England Conservatory, earned an undergraduate degree and made the move to New York City in 1977. 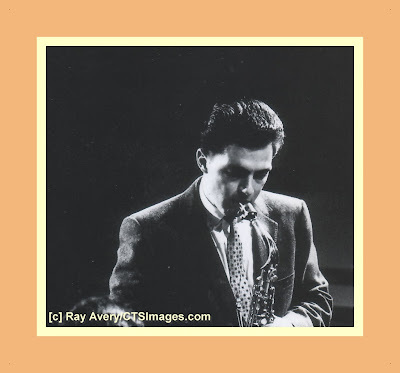 Hersch quickly gained recognition as a superlative accompanist, performing and recording with masters such as Stan Getz, Joe Henderson, Billy Harper, Lee Konitz, and Art Farmer. Since releasing his first album under his own name, he's recorded in an array of settings, including a series of captivating solo recitals, duos with vocalists Janis Siegel and Norma Winstone, and ambitious recent projects, like his chamber jazz setting for Walt Whitman's "Leaves of Grass," documented on his 2005 Palmetto album of the same name. 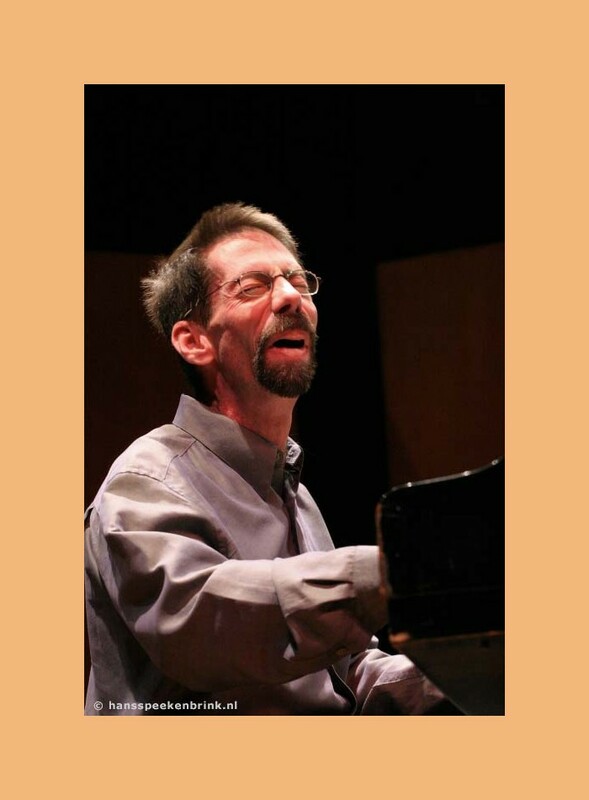 As an educator, Hersch has shepherded some of the finest young pianists in jazz through his teaching at NEC and the New School. A leading force in galvanizing the jazz community in the fights against HIV/AIDS, he produced 1994's all-star album Last Night When We Were Young for Classical Action: Performing Arts Against AIDS. If there's one thread running through Hersch's career it's the trio. From his first session with Marc Johnson and Joey Baron, he's pushed at the limits of lyricism and temporal fluidity with similarly searching improvisers. It's telling that his trio-mates have included versatile musicians such as Michael Formanek and Tom Rainey. 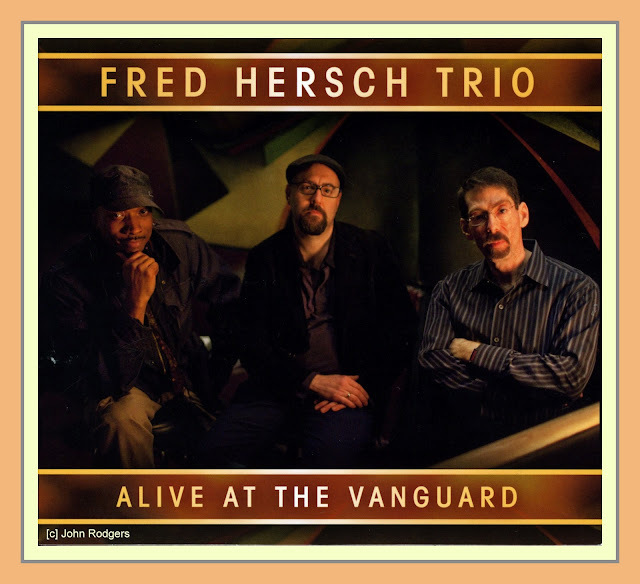 With Alive at the Vanguard, Hersch has once again set a daunting standard that he's already scheming to surpass. "When trio is right it's very strong, but also very fragile," Hersch says. "If it's right it's transcendent, and if anything is off, the whole thing crumbles. John and Eric are both incredibly alert. I don't feel like there's any ego. We're all trying to serve the music as it unfolds." And here are Fred’s comments and thoughts about some of the music on the recording. “Alive at the Vanguard is my third recording at the legendary club known as "the Carnegie Hall of jazz clubs", in existence for more than 75 years. The special acoustics, the intimacy, the ambiance and the ghosts of the great artists who graced the stage here - all this contributes to the quality of the music created at the Vanguard night after night, year after year. I love this trio - both John and Eric give themselves so completely to the music through their wonderful approaches to their instruments, their wisdom and their true creativity. This is our second CD, preceded by 2010's Whirl. In the intervening two years we have had many opportunities to play together - including some lengthy tours - and the band's collective sound has grown enormously. I feel that these discs really capture what this trio is about in all ways. A few words about some of the tunes. Havana came to me out of nowhere; I can't say exactly why I called it Havana, but the rhythm and romance of it seemed to put the romance of that city in my mind. I dedicated Tristesseio the late drummer Paul Motian. I had the privilege of playing a week with him at the Vanguard in January of 2010 with bassist Drew Gress and it was unforgettable. For bebop trivia buffs, Segment is the only Charlie Parker composition in a minor key. I recorded this arrangement of Lonely Woman/Nardis on my Evanessence album in the 1990’s – moving Ornette’s tune up to E minor made the connection for me. Dream Of Monk is from my 2010 multi-media Jazz theater piece My Coma Dreams. In this dream, Monk and I are in separate cages in a room; a man bursts into the room, gives us music paper and pencils and says, “Whoever can finish a tune first will be released!" I scribble like mad, finish my tune and I look over at Monk who is just in his cage, sweetly smiling. True to the dream, I wrote the tune in about 20 minutes. Softly and Doxy are in my mind forever associated with Sonny Rollins one of my all-time jazz heroes. He plays Softly on the first album recorded at the Vanguard in trio with Wilbur Ware and Elvin Jones - one of my favorite jazz records. Opener was written as a drum feature for Eric McPherson and he totally earns the dedication. Jackalope is a mythical creature( half jackrabbit and half-antelope). Fred has his own website on which you can locate order information for Alive at the Vanguard and Fred’s many other recordings as well as checkout his extensive tour schedule through the end of 2013. The worldwide editorial staff at JazzProfiles with the aid of the crackerjack graphics team at CerraJazz LTD and the production facilities at StudioCerra developed the following video tribute to Fred which includes a track from Alive at The Vanguard on which the Fred performs a solo version of Russ Freeman’s lovely The Wind and segues it into a trio version of Alec Wilder’s Moon and Sand. There’s nothing more exciting than a big band playing The Blues, especially one on which they can stretch out on at the beginning of a concert. 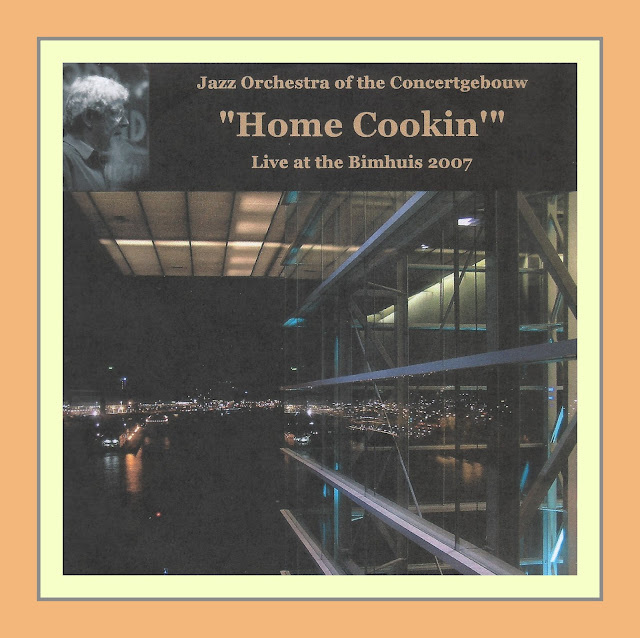 To hear “what I’m talkin’ ‘bout,” checkout the following 10:31 minute audio-only track that features Holland’s Jazz Orchestra of the Concertgebouw playing director Henk Meutgeert’s The Blues. Henk’s arrangement has got it all: a driving opening chorus which gives way to solos by pianist Peter Betts and a tenor battle by Simon Rigter and Sjoerd Dijkhuizen; an alto sax solo by Marco Kegel; an interlude between solos formed by a unison trumpet chorus; a Jesse van Ruller guitar solo; a Ruud Bruels trumpet solo; Ilja Reijngoud soloing on trombone followed by Jan van Duikeren on trumpet; a “shout-me-out chorus” that begins at 9:25 minutes and a thrilling ending with drums breaks by Martijn Vink and trumpets screaming in the higher register. And this is just the beginning of a 2 hour concert that took place at The Bimhuis in Amsterdam, The Netherlands on November 14, 2007! Van Ruller, Roelofs, Van der Feen Performing "Circles"
The Chambertones are a trio without drums whose name says it all. It explores chamber music, and is both melodic and modest. All three musicians are seasoned veterans on the international jazz circuit and are all bandleaders and composers in their own right. The trio’s music is sensitive, warm and provides a great deal of room for each of the three instruments to explore their individual sounds at great length. Their music is all about exploring the full range of the sound of wood. Original tunes and musical motifs are rendered in subtly interwoven tapestries of sound. Their recently released album The Ninth Planet is available as both an audio CD and an Mp3 download. “With fantastic compositions they swirl around one other in a self created world that feels like a warm blanket. – Daily national newspaper de Volkskrant “A superb trio of distinct and adventurous personalities who hopefully have entered into an intense, and long-lasting relation.” - Trouw. Jesse van Ruller - guitar, Joris Roelofs - clarinet and bass clarinet, Clemens van der Feen-double bass. Stay with this one ... these guys can play. Shades of Jimmy Giuffre. The older I get, the more I appreciate Duke Ellington’s music. Well, it's been a lot more than seven years, but as I’ve listened to Duke's music since those early days of quick dismissal, the more in awe I’ve become of his musical accomplishments. From every perspective – melody, harmony, rhythm and texture – Duke’s music is full of originality, creativity, and what the esteemed Jazz author Whitney Balliett once termed as Jazz’s essential ingredient: The Sound of Surprise. Lately, my admiration for Duke has taken on a different form – his writings about Jazz. Not surprisingly, his style of writing is infused with the same sense of flair, humor and urbanity that one finds in his music. Here’s a sample from Music is My Mistress [New York: DaCapo Press, 1973]. 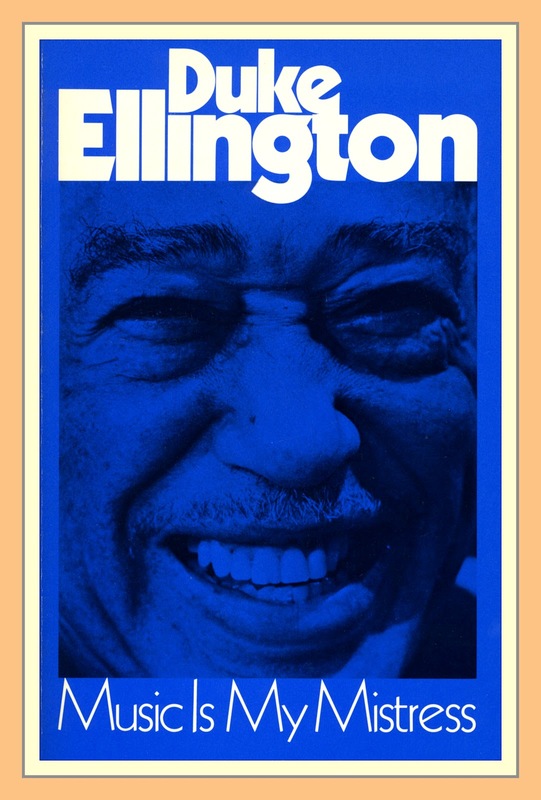 © - Duke Ellington/DaCapo Press, copyright protected; all rights reserved. “The City of Jazz is a place in which certain people live. Some are on their way out, while many others are on their way in. Some are rushing to get there, but others appear reluctant and are cautious in their approach. Still others claim they are afraid, and hesitate to expose themselves in this place where they feel so strange, this strange place where the most solid citizens are so hip, or slick, or cool. These hesitant ones fear they will feel like country folk in the metropolis, or like people on the Chinatown bus tour. They wonder if they will be taken for suckers or squares. My experience on my many visits to and from the city (I do one-nighters, you know) has convinced me that its people are all very nice human beings. There are those who work for the city (the players), those who work at the city (the analysts), and those who just enjoy it (these are my people). The citizens of all three groups are more concerned with what they like than what they dislike. All of them, too, assume that they know one another. For instance, when they meet for the first time they embrace warmly like old college chums. In the city's public square, you find statues of heroes. Some are of those who built the walls, like Buddy Bolden and King Oliver. They appear to have been sculptured in bars, after-hours joints, and houses of ill-repute. Some are of those who fought to save the city, like Fletcher Henderson and Paul Whiteman, and they are identified with the world of ballroom palaces. Some are of those who went down swinging, like Bix Beiderbecke and Chick Webb, and who were decorated posthumously for heroic performances above and beyond the call of duty. Last, in the same concert halls where they play the masterworks, are statues of some of the great ones who long defended the walls, like Bechet, Armstrong, and Hawk. This City of Jazz does not have any specific geographical location. It is anywhere and everywhere, wherever you can hear the sound, and it makes you do like this—you know! Europe, Asia, North and South America, the world digs this burg—Digsville, Gonesville, Swingersville, and Wailingstown. There are no city limits, no city ordinances, no policemen, no fire department, but come rain or come shine, drought or flood, I think I'll stay here in this scene, with these cats, because almost everybody seems to dig what they're talking about, or putting down. They communicate, Dad. Do you get the message ? In celebration of this brief remembrance of Duke’s lasting contributions to Jazz, the editorial staff at JazzProfiles has re-posted an earlier feature about The American Jazz Orchestra’s tribute to Ellington in the blog sidebar, as well as, the related video to both The Duke and The AJO which you will find below. Rest assured that we will have a great deal more to say about The Duke in future postings.